In this tutorial, we will take a look at how to convert your WordPress image URLs to your Shopify image URLs in your Blog Posts. 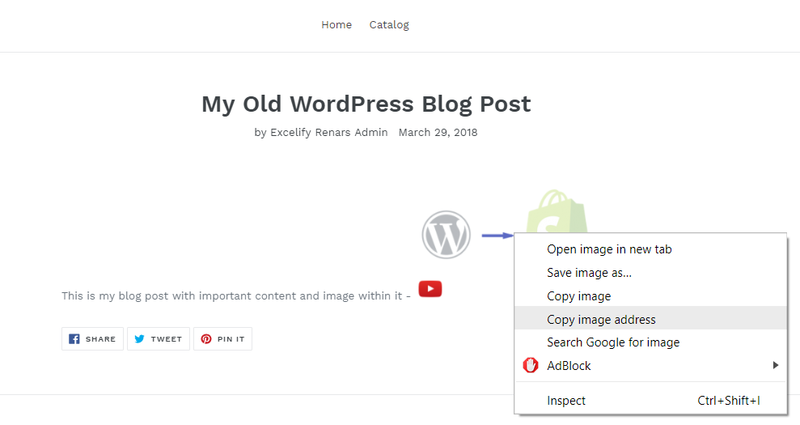 As you might have noticed – when migrating Blog Posts from WordPress to Shopify image links within your post content have not changed to new image links in Shopify, and now by closing your WordPress blog, you risk to lose all images. Worry no more – here we will take a look on how to fix this. Here we will assume that you have already migrated your blog posts from WordPress to Shopify successfully. To do this, please, follow tutorial – Migrate Blog Posts from WordPress to Shopify. Go to your WordPress site, and download all media library – there are multiple plugins that can achieve that – https://wordpress.org/plugins/search/image+download/. Head over to your Shopify admin and go to Settings -> Files, and press ‘Upload files’ and select images to upload. If all your media files are in the compressed file, then extract it to a folder. 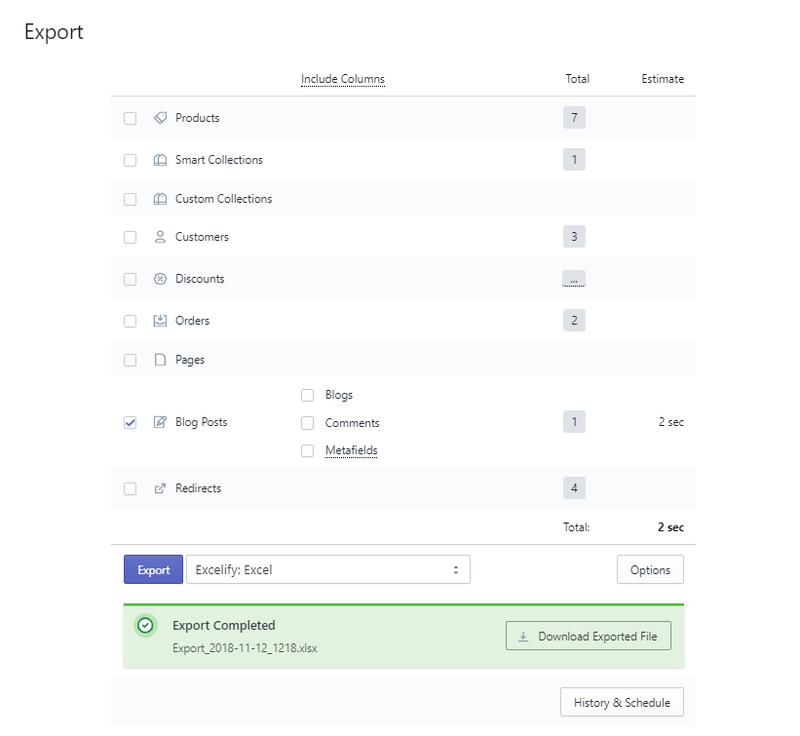 Now export your Blog Posts from your Shopify Admin using Excelify app to Excel format. Now we are going to actually change links. Open your Shopify admin Settings – Files and copy any image link. Open Excel and paste this URL into ‘Replace with’, and again delete image name/handle from this URL. Press ‘Replace All’ button and BOOM – all your image links within ‘Body HTML’ column are changed to image links that lead to Shopify. Save this file and import into Shopify using Excelify app. In your Shopify admin, go to Online Store -> Blog Posts. Locate any just now updated blog post, open it and press ‘View’. Now you can see images within it and if you click check image URLs they will lead to Shopify, not WordPress. If you have any issue with this, please, ask our Support, and we will help you. If you have many Blog Posts, please, go thru this tutorial with one or few Blog Posts to test if everything works and you have filled fields correctly.